We are always searching for more talents who want to join our team. If you are interested and think you are qualified check here for currently available jobs. 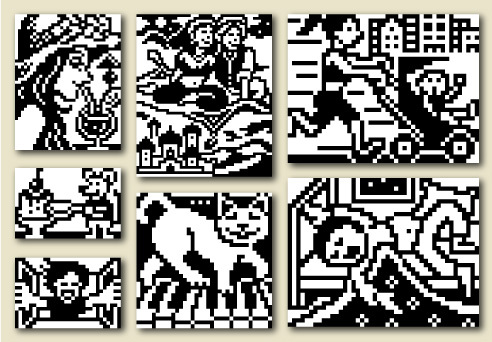 We are looking for talented freelancer artists to create pixel-art pictures for our picture-logic puzzles. Here are some examples of what we are looking for. Additional examples can be seen at Pic-a-Pix, Sym-a-Pix, Link-a-Pix, Fill-a-Pix, Maze-a-Pix and Dot-a-Pix.